World of Tanks is one of the most unique video games of the last decade to transition into the competitive esports circuit. In an industry saturated with MOBAs and shooters, developer WarGaming has banked on the underrated demand for armoured warfare based around 1930s – 1960s era battle tanks and have gradually built up an incredibly passionate 60 million + community and tournament scene around it for the past eight years – to great success. The team at EsportBet aim to provide a deeper look into the current World of Tanks competitive esports scene and the small number of betting sites and sportsbooks which have begun to offer regular markets on the most popular tournaments. We’ll also cover how the game is played competitively, the different regional comps and the best places to watch official events online. World of Tanks is a tactical armoured vehicle combat simulator perfect for fans craving something different from regular shooters. World of Tanks is a massively multiplayer online (MMO) game centered around player-versus-player gameplay and vehicle-based combat systems. Players step into the role of a military operator using an armoured vehicle from four different classifications, modelled after real-world military vehicles from World War I to the Cold War. After choosing a tank, players are placed on a random map where they can move their tank, fire its weaponry and coordinate with fellow team-members to take on enemy combatants. There are multiple game modes with varying objectives, such as eliminating all opposing tanks or capturing an enemy base. You can play one-versus one or as part of a platoon of up to 15 other players in a massive battlefield. Light Tanks: Fast and small armoured vehicles that work best as flankers or scouts, represented by a solid green or red diamond on the mini-map. Medium Tanks: Jack-of-all-trades tanks that are balanced for multiple roles and tactics, represented by a two-piece green or red diamond on the mini-map. Heavy Tanks: Big and heavy tanks with great firepower at the cost of maneuverability and speed, represented by a three-piece green or red diamond on the mini-map. Tank Destroyers: Specialised vehicles best used for destroying heavy tanks at the cost of fast aiming and traversal speed, represented by a green or red inverted triangle on the mini-map. Self-propelled guns (SPGs): Artillery vehicles with long-range firing capability at the cost of slow reload times and vulnerability, represented by a green or red square on the mini-map. The most impressive thing about World of Tanks and the reason for its immense popularity is its attention to detail with every vehicle. There are over 400 armored vehicles representing the work of Britain, China, Czechoslovakia, France, Germany, Japan, Poland, the Soviet Union, Sweden and the United States, with multiple tiers and customization options available to alter its performance and change its parts (such as the engine or guns or tracks) along with its appearance. Official esport matches in WoT are played with two teams of seven, all manning different types of armoured vehicles. The aim is to beat the other squad in a Bo5 (Best of Five) match series. The winning team in the typical World of Tanks esports match is the first to win three games. Every player in the game also has designated tier points out of a total of 42 to be used when certain conditions aren’t met, and each team can have four more players in reserves. Each round in the average competitive WoT match lasts 10 minutes, and rotates between deathmatch elimination and capturing enemy territories to close the round. If neither squad destroyed the entire team or captured the designated point, the winning team is the one with the eight more tier points than their opposition, based on surviving tanks. Should there be a tie, the match is replayed with a ten minute break to allow teams to formulate new strategies. All competitive games are played on a carefully curated list of maps in the base game which rotate randomly. The current competitive map pool includes: Ensk, Lakeville, Himmelsdorf, Prokhorovka, Ruinberg and Steppes. World of Tanks is one of Europe’s most popular MMO esports circuits and set for a huge international expansion in 2018. Like many other gaming publishers before them, WarGaming has taken charge of all esports activities and tournaments for its game, establishing the WarGaming.net League for competitive WoT play. It is presently the only officially sanctioned esports series for the franchise. WarGaming.net currently hosts qualifiers in five regions – Asia-Pacific, Commonwealth of Independent States, Europe and North America. The league runs on a ladder system with multiple tiers to denote skill level of the participating teams and includes Open, Bronze, Silver, and Gold Leagues, with small differences in how each regional qualifier is run. Prior to 2018, every region has twelve teams except for NA, which only had 10. The current season plans to feature 8 teams instead. Each season also has two phases and a finals series. Phase 1: Round robin tournament per region, with the top 8 from each staying in the tournament. Phase 2: The best two ranked teams based on points advance to the regional season finals, while teams ranked third to sixth fight in the regional quarterfinals to secure a spot in the finals, all played in a single elimination format. Challengers Rumble: The best top two teams from the APAC, NA and EU regions in addition to two wild card teams will fight in a single elimination tournament to determine advancement into the Champions Rumble. Champions Rumble: The deciding event for which two teams, along an additional challenger from the CIS region, will fight the defending winner from last year in the WarGaming.net Grand Finals. Grand Finals: The main event for the WarGaming.net calendar year. There are other third-party organized WoT esports events out there, but it is uncommon to see sportsbook take betting markets on them. Some notable tournaments in the past we have been able to place a bet on include the annual World Cyber Arena and minor EU regional events from Dreamhack. How can I bet on the WarGaming.net League? World of Tanks has a seriously underestimated esports following. 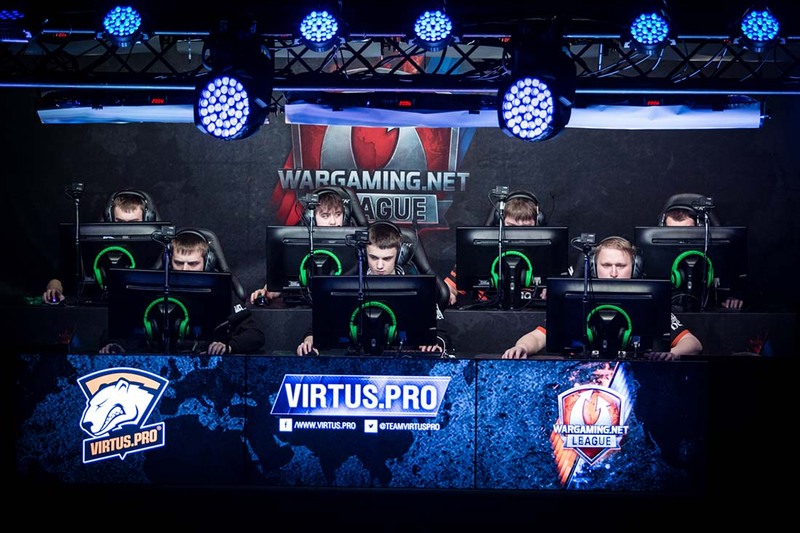 With massive tournaments and six-figure prize-pools, the WarGaming.net League competitions are huge and many international esports betting sites have taken notice and opened up markets for fans to bet on their favourite teams and players. While the current 2018 season has yet to commence or have concrete dates officially announced, we have confirmed the following top-rated sportsbooks have taken wagers on the regional finals in the past – and will do so again this year. Arcanebet.com: A betting site entirely focused on esports betting options and run by gamers. It has established a reputation for taking bets on more niche pro gaming events, including World of Tanks, so it’s a good place to start when this year’s WarGaming.net League properly rolls around. Sign up via our links to claim an exclusive deposit bonus by using our special promo code, ‘esportbet’ before you make a deposit. BetOnline.ag: The best site for North Americans to bet on esports as well as traditional sporting events, supports bitcoin and USD and has a ton of generous bonuses to maximise your esports betting balance. It has offered betting markets on World of Tanks in past years and has a handy live-stream link feature for a quick and easy way to watch the match you’re betting on. Pinnacle: One of the most well known esports-centric sportsbooks in the world, Pinnacle has taken bets on World of Tanks events with the earliest markets and best odds, along with options for every single other popular and up-and-coming esport this year. Match winner/moneyline: The simplest bet out there, you’re backing whichever team wins the match in question. The odds reflect the team best favoured, based on past performance, roster changes and other factors. Match winner doesn’t always offer the most lucrative odds but it is the easiest wager to place and understand, and recommended for esports fans new to betting. First blood: You are placing a bet on which team scores the first kill on an enemy tank. Similar to other bet types across CS:GO and Dota 2, this one is very unpredictable but if you have confidence in a particular player scoring that first strike, it can often prove worth it – with the right odds. Map winner: You are placing a bet on which team wins an individual map. 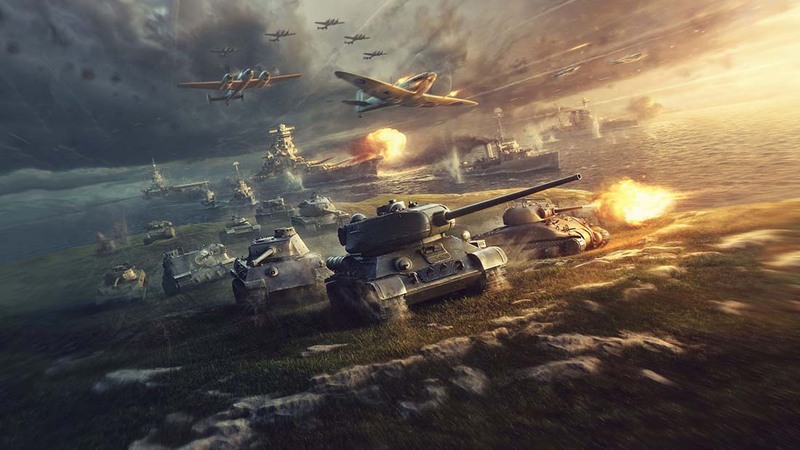 Many games, World of Tanks included, are volatile in the map winning department due to randomness and other gameplay factors, so we recommend only having a go if you’re confident in your knowledge of the game and the teams playing. It’s also a great option for fans who can’t watch the whole match and prefer to watch and bet on one map here or there. Where can I watch World of Tanks esports? The majority of World of Tanks tournaments are online-based, meaning the action is streamed directly from the game stations to viewers online, rather than broadcast in real-time from a proper game venue with a live audience. However, the finals events and other significant qualifiers are hosted by WarGaming in numerous arenas around the world. The best place to watch the WarGaming.net League or any other World of Tanks competitive tournament is on the official World of Tanks Twitch.tv channel and the separate WarGaming League channel. You can find betting markets on WarGaming League once the season begins at the best esports betting sites for your country, listed in the table above.